Search engine optimization can either make or break your company. Studies show that your potential customers search Google first when deciding where to eat, what to buy, and the services to use. The websites who position themselves on the first page of Google will naturally see an influx of new customers into their business. The public trusts Google rankings and will generally base major purchasing decisions on them. In order to rank well in Google, it’s critical that you set up your website and domain name correctly in the beginning. Follow these 7 simple steps to increase your chance of success dramatically. Picking your business name is the most crucial part of the entire process. There are a few different ways to go about naming your company, and one should first consider your end goal when picking a name. If you are looking to target only one specific city or geographical region then it’s best to pick an (EMD) Exact Match Domain. 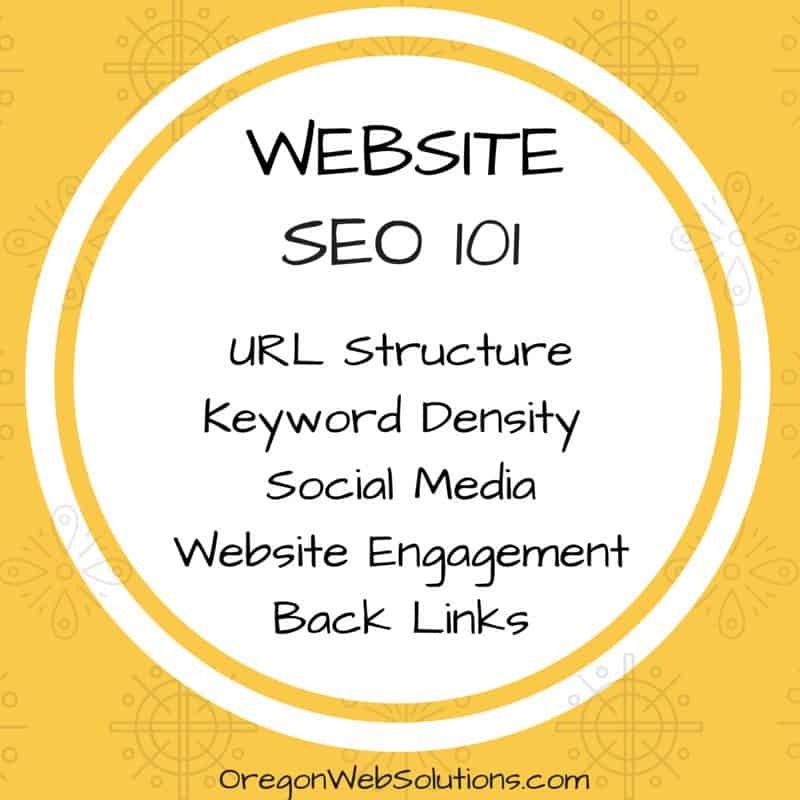 Examples of Exact Match Domains include Bend Video Production or Portland Dry Cleaning. These types of names are good for getting off to a quick start, but can limit growth possibilities down the line. The second option is to choose a branded domain name. These names don’t include a geographical region or city in their title. Branded names tend to be more difficult to start originally, but over time gives you more possibilities. Examples of branded names are things like Winzy Group or Blue Box Company. These names work great for companies that have a long-term growth strategy because they will be appropriate in any city or area. The downside is that your name doesn’t tell the customer exactly where service is. For each type of name, there are pros and cons and one should spend a great deal of time in the beginning deciding the future direction of their company. The next step is to choose the correct domain name. This will depend heavily on what you decided for your business name. If you chose to take the EMD route with a name like Bend Video Production then your ideal domain name would be BendVideoProduction.com. 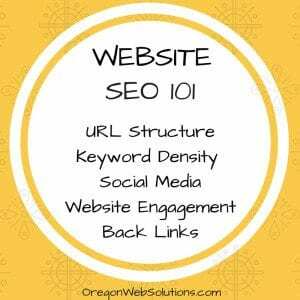 From a search engine optimization standpoint this is superior because Google can decipher what the website is about simply from the URL. If instead you choose a branded name like Winzy Group then the ideal domain name would be Winzy.com or WinzySEO.com. I would avoid using .Net or .ORG domains and stick with a .COM. If you are looking to spread awareness for your business through word of mouth, a .COM domain name will be easier to communicate to your customers. Once you have chosen your company name and purchased your domain name it’s time to plan your attack. Keyword research is an essential part of the search engine optimization process. Ranking #1 for a term that has no search volume will not yield results for your company. Instead, you should identify specific keywords that will convert into paying customers. These keywords could include your trade name and a city or geographical identifier. If you are looking to rank for national level keywords then this could simply be a trade or specific thing you're selling. For example, if you are looking to rank for video production in Bend Oregon the highest volume search term would be “Bend video production.” Remember, people search like they would speak, so don’t make assumptions on search volume. There are many different keyword planning tools available, but I would start with the Google Keyword Tool. Spend a few hours researching keywords before you move forward. I would suggest choosing 2-5 long tail keywords to target in beginning. As you have success with these keywords then you can expand your target group. “Bend Video Production.” Next, Google will analyze the sub-URL to determine what a specific website page is about. For example, if your URL is Winzy.com/Portland-SEO-Company then the keywords “Winzy Portland SEO Company” will be given the highest power. If you are looking to rank for a specific keyword your best option is to put those keywords in the URL structure. The URL structure is not the only ranking factor, but it does play a huge roll. When designing your website you should carefully consider your URL structure in your design. After you have identified the most profitable keyword combinations for your business, the next step is to incorporate those into your sub-URL pages. Social media is quickly becoming one of the bigger ranking factors for websites. Social Media shows Google that your website is relevant and prevalent around the internet. Large portions of business owners avoid social media because they fear that their business will be criticized or they don’t know how to put out quality content. The real power in social media comes from the back links you can place in your profile to your website. Our strategy is to set up 30 or more social media accounts and link them to your website. These links from high domain authority properties will help establish trust in your brand. Social media is also great for driving traffic and engagement to your website which is another major ranking factor. If your business can produce interesting content then posting on social media can help. Google is measuring this engagement and factoring it into their ranking algorithm. Google carefully measures keyword density and content quality when determining your Google rankings. The latest studies show that your target keyword should not be mentioned more than a few times in your content throughout your page. Keyword stuffing and other old school SEO techniques no longer work and will result in poor rankings. Website owners should strive to have 500-1000 words of unique quality content on any page you would like ranked in Google. Furthermore, by adding original images and YouTube videos you can further increase your rankings. Remember, when adding images, Google is not just reading the text below the image, but is actually reading the image title when you uploaded it to your website. This is a great opportunity to get more relevant keywords into your website. Another often overlooked technique when targeting local search queries is to geo-tag your images with location data. This will give Google yet another signal that you relevant for your geographical region. Next, you can embed YouTube videos in your page to help index your page quicker and create more engagement from you views. Google owns YouTube, therefore, any website that has a YouTube video embedded is most likely going to receive better rankings. The biggest ranking factors for Google are the ones website owners cannot control. When a website links to your site this is considered a backlink. You can think of a back link like a vote, and the more votes you have the higher your website will rank. One must also consider that not all backlinks are the same. Links from bigger and more trusted sites will have far more ranking power than those from new and untrusted sites. In fact, It can actually hurt your site to have other websites with low trust linking to you. As a good rule of thumb, you should only seek out links from sites far bigger and more trusted than your own. Google puts a large amount of weight on the quantity and quality of links coming to your web page and the anchor text used in the links. Anchor text is when a website links to another through the use of words and not a raw URL link. 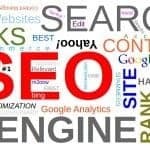 For example, a raw URL link would be www.Winzy.com and an anchor text link would be “Winzy SEO Company.” The anchor or keywords used to link to a website have a huge impact on search rankings. Website owners should seek to have a diverse website anchor text with a little redundancy on the exact keywords you're looking to rank for. For example, if your target keyword is “Bend video production” then the best strategy would be to have your top 2-3 highest power links contain that exact anchor text. The problem being it can be very difficult to get high-quality anchor text backlinks. This is why many website owners choose to higher a search engine optimization company to acquire such links. The proceeding 7-steps are the foundation of website SEO. All 7 concepts are taken into consideration by the Google Algorithm and your website is ranked accordingly. There are potentially thousands of other ranking factors, but these are the primary ones. In most small to medium difficulty local markets, this could be enough to rank your website near the top of Google. As you move into more difficult keywords it will take these as well as many other tactics to get a #1 Google rankings. Those tips are really helpful and set the tone for for starters doing SEO for their sites. those basic tips and could lay the good groundwork. Working for an agency and having the chance to work on dozens of sites, it’s still mind-boggling how many sites spend big bucks on premium domain names, high-end website devs, yet completely ignore #4. It seems to be one of the most common SEO errors I see. This is so very true and a really common mistake. I am guilty of it as well at times, but for different reasons. It is taking a “webpage” and breaking down the positives and negatives about it, so you can improve upon it. Hope this helps Kette! 7 Simple Website SEO Tips For Startups	Overall rating:	5	out of 5 based on 48	reviews.